At secondary school homework is a vital element in the learning process. Regular, structured tasks help to reinforce learning, inform and involve parents and promote independent learning skills that become invaluable as students progress through the school. Our FAR (Feedback-Action-Response) marking policy promotes dialogue between students and their teachers. We do not issue a homework timetable as such rigidity could lead to missed opportunities, but as a general rule students should be set homework approximately once every three lessons. At Key Stage Three this is usually once a week for core subjects and once a fortnight for most other subjects, with students expected to spend around 30 minutes on each task. At Key Stage Four homework frequency is usually once a week in all subjects (pro-rata for subjects taught less than five lessons a fortnight), with the expected time devoted to tasks increasing to 40-60 minutes. We hope that all students have an appropriate space, away from distractions, in which to complete homework and that parents will encourage students to do so conscientiously and in sufficient detail. If students are struggling to complete homework at home then the Library and Study Centre offers a well-resourced and quiet environment in which to do so. 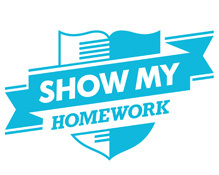 Since 2013 we have subscribed to an online homework system called Show My Homework, which has proven invaluable in both supporting students in the completion of homework, and in monitoring the frequency and nature of homework set. Teachers record all homework on Show My Homework. The system ensures that each task is assigned to a specific class and has a submission deadline published. Teachers are able to explain tasks in detail and attach resources and/or web links to support their completion. Some homework can even be completed and/or submitted using the site. The school homework calendar can be viewed here but all students are issued with their own individual login details. The student login provides a personal homework calendar and to-do list for each child, and enables students to submit work online when needed. With a separate login parents are able to view homework for all their children and access wider features. Should any parent not know their login details they can email Mrs Ball. Furthermore, a free App is available on Android and iOS that includes a clear to-do list plus notifications of what homework is due in the next day. If students or parents experience any issues with logging in to the system they should contact Mrs Ball who will be able to fix most problems or the Show My Homework helpdesk on 020 7197 9550 or help@showmyhomework.co.uk. We also run a Show My Homework helpdesk at Settling-In/Meet the Tutor Evenings and at all Parents’ Evenings. If parents have any concerns over homework they should contact their child’s tutor in the first instance.